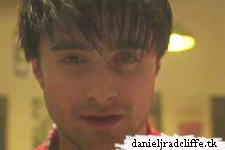 I did already post on Facebook that Daniel would feature in a new music video from the band Slow Club. This is their track Beginners taken from their second album Paradise which was released last year. The video has just been released via YouTube. The clip was shot on location in The Faltering Fullback in Finsbury Park, London in a single take. Paradise is out now on limited edition coloured 12" vinyl, CD and download. For the iTunes link, click here. Wow, i really like it!! Fantastic work Dan!